The Super Eagles of Nigeria – How Far? Good morning friends of Nigerian Football. How was your night? I am sure not it was as good as the night after Sunday Mba nicked the ball in for Nigeria’s 3rd Nations Cup win in 2013. The rains threatened last night but it could not wipe the sadness from the evening’s game in Alexandria. I walked home after the game, not sad, not disappointed, but with so many unanswered questions. I couldn’t see the direction the Super Eagles were heading. My mind played back to Stephen Keshi, Sunday Oliseh and Samson Siasia. These three ex-internationals have had their philosophy and footballing pattern on the current team with varying result but with one similarity – appointed by the NFF. Before I look at the generic derangement, I will share my thoughts about the game in Alexandria. The Eagles could have been beaten by 4-0 despite showing signs of possession. Down by Ramadan Sobhy’s goal in the second half, the Eagles remembered they needed to be decisive, the coach remembered that he needed a creative player in the middle. In came Iwobi. The Arsenal man created more chances in 15 minutes than Aminu Umar created in 75 minutes. The lineup was fearfully and wonderfully drafted – Mikel, Etebo, Aminu in the middle. There must have been some metaphysical force working from the bench. Zero creativity. Mikel was the best of the bunch but that in itself is a shame. Ighalo was isolated and when he got the chance, he ballooned it. Moses huffed and puffed but his best effort came off the post after the Egyptians were already 1-0 up. Musa was nowhere. Ambrose was full of error. The left was a free way for Salah. Amuzie was an amusement to watch. Salah was having a fun filled day. What happened to Onazi? Why didn’t Iwobi start? Could the keeper had done better? Could Simon had played? Was Siasia’s tactic questionable? I don’t know. We may never know. Can we get this right? Failure is not the end. Egypt missed three consecutive AFCONs but this is the first time Nigeria will miss two consecutive AFCONs. 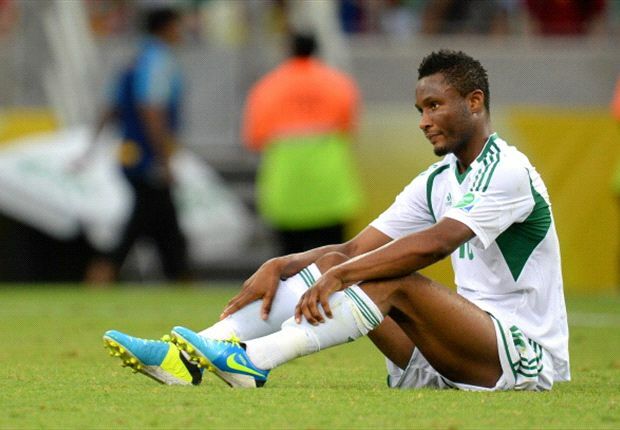 The market value of the Super Eagles and the players is on the steady decline. Can we rely on the young bloods of Iwobi, Iheanacho, Nwakali et al? Can we be truthful and keep aside sentiments, favoritism and all manner of politics with respect to the national teams. Nigerian football is not all about the Super Eagles. We have the Super Falcons and other national teams. We have the Nigeria Professional Football League and its female counterpart – even though the NFF have left the later in the shadows. There is the Federation Cup – without sponsors for years. So, there is a lot to support. As for the last AFCON 2017 qualifier game, Nigeria can use either Enyimba FC or the U-20 that won the World Cup for the game. The result will be useless unless CAF decides that a win will give Nigeria 9 points instead of the regular 3 points.